The Middle Ordovician of the Oslo Region, Norway. 10. Nautiloid Cephalopods. 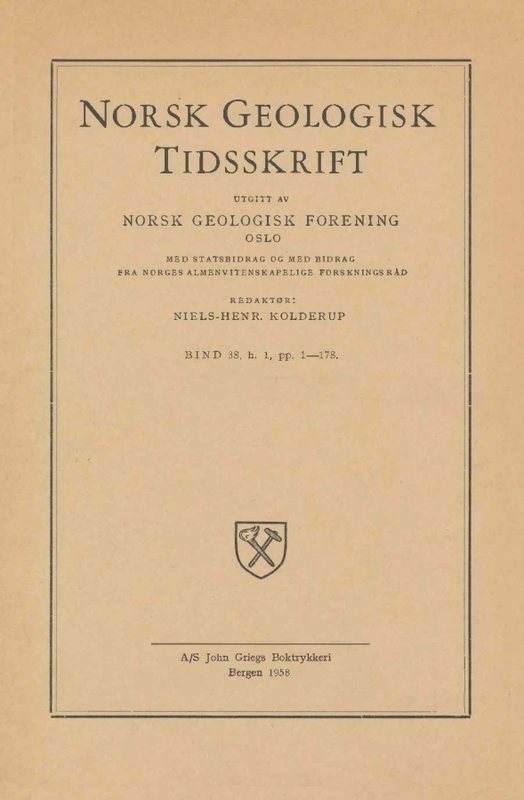 Forty identifiable species of nautiloid cephalopods, referable to 38 genera, are described from the Middle Ordovician Ogygiocaris and Chasmops Series of the Oslo Region, Norway. A comparison of the cephalopod faunas represented with others in the Scando-Baltic province tends to confirm previously suggested correlations of the Ogygiocaris Series with the Platyurus, Schroeteri, and at least part of the Crassicauda limestones of Sweden. Many of the same cephalopod species found in Ogygiocaris strata are also known from the Aseri, Lasnamae, and Uhaku limestones of Estonia, and two species from the lower portion of this Series are closely similar to forms known best from the essentially contemporaneous sarka beds of Bohemia. Ogygiocaris Series cephalopods have little in common with presumably contemporaneous forms in North America, but the same general fauna, or regional variants of it, seems to occur in Korea, Manchuria, India, and perhaps in Australia, China, and Argentina. The cephalopods of the Ampyx limestone, the basal substage of the Chasmops Series, are much like those of the upper part of the Ogygiocaris Series, and seem to be closely related to forms from the Crassicauda limestone of Sweden and the Uhaku limestone of Estonia. The few nautiloids now known from the upper four-fifths of the Chasmops Series, are, however, for the most part referableto, or closely related to, genera best developed in the well known boreal faunas which have a wide distribution in the Northern Hemisphere. In the systematic portion of the report, three new generic names are proposed, Hoeloceras (Lambeoceratidae), Trilacinoceras (Lituitidae) , and Broeggeroceras (Westonoceratidae). In addition, 21 species are named and described for the first time. Descriptions and illustrations of one Lower Ordovician species (Holmiceras kjerulfi (Brøgger)) and one Upper Ordovician species (Broeggeroceras? elongatum, n. gen. & sp. ) are included for comparative purposes. The stratigraphic distribution and morphological development of the Lituitidae indicate a close relationship to the Tarphyceratina. Lituitid cameral deposits are discussed and evidence is presented to suggest that these structures were secreted by siphuncular tissue which expanded into the camerae through foramina resorbed in the ectosiphuncle. The independent development of cameral deposits in the secondarily straight lituitids supports the interpretation of such structures as hydrostatic devices and suggests that the Lituitidae developed from a stock in which cameral tissues had disappeared or lost their function.